Dr. George Luther, a scientist at the University of Delaware, has developed needle-like electrodes to take chemistry readings of environments ranging from salt marshes to hydrothermal vents. 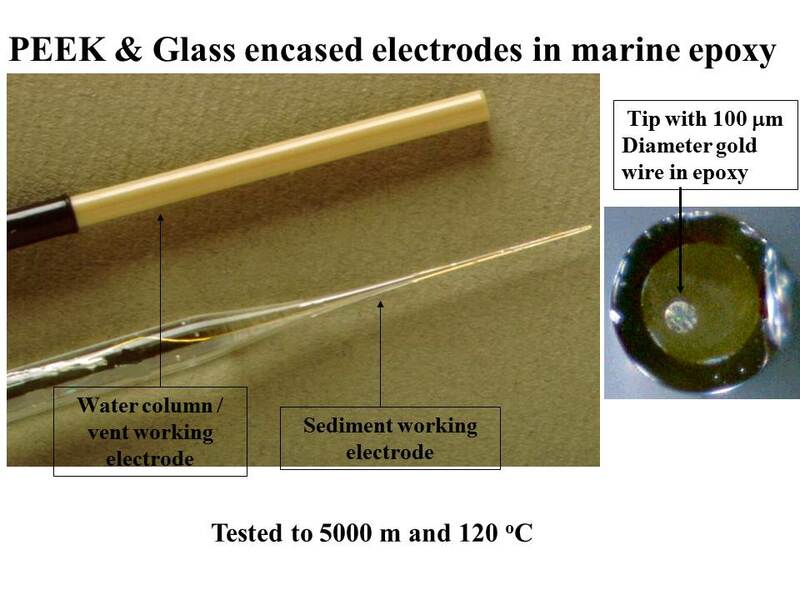 The sensors used in sediment research are made of glass, while the ones used in water including the deep-sea probes are encased in protective polymers such as PEEK (polyethyletherketone). 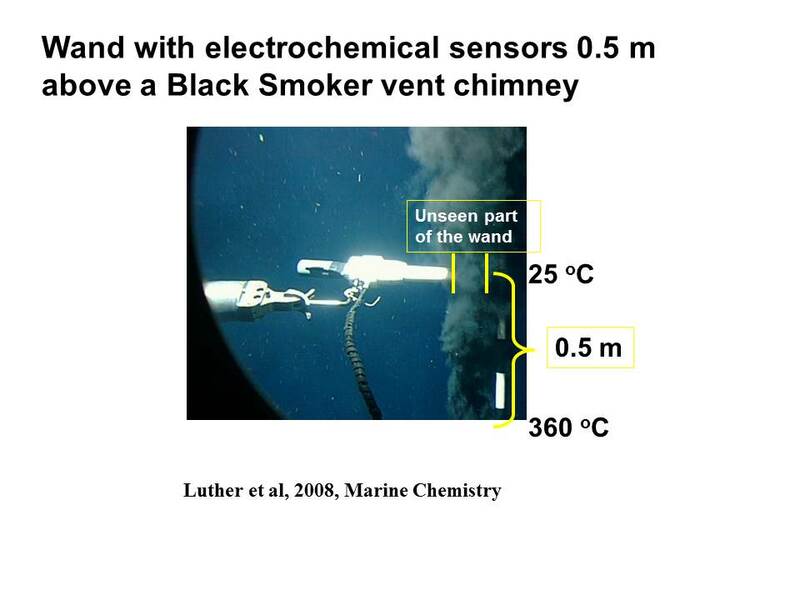 Once connected to computers and deployed, the deep-sea sensors can provide instantaneous readings of the different chemicals that spew out of the vents.